The Tiffen Dfx V3 Photo Plug-in software simulates over 2000 special effects from lens filters and film grain to natural light and colour correction. Add or modify the lighting and effects of a photograph in any way you would like using this powerful yet simple software plug-in. This enormous suite of features is an excellent source of digital optical filters for photographers, video editors and effects artists alike. 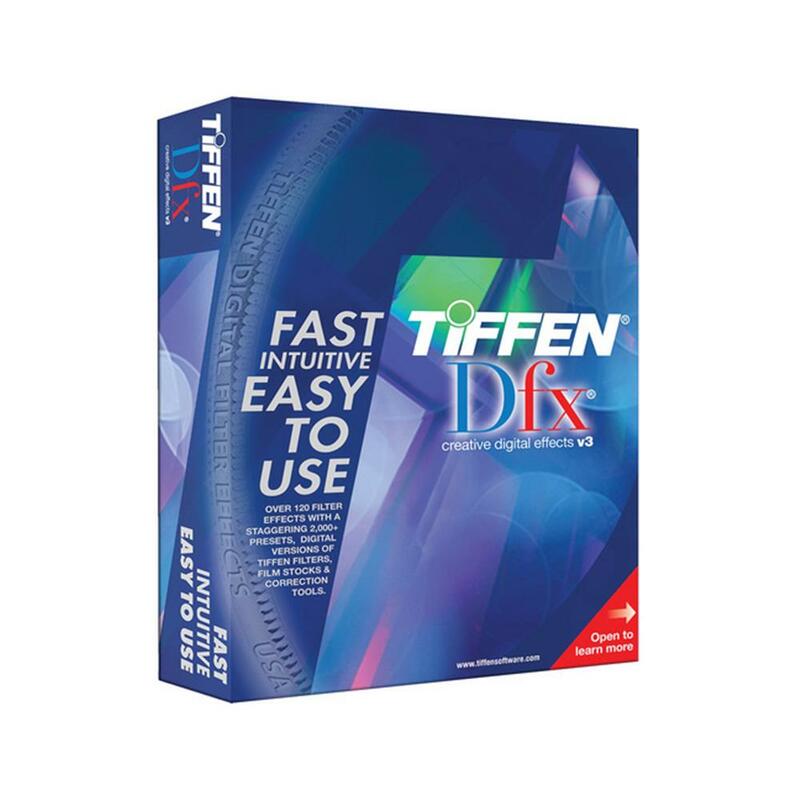 One Tiffen Dfx V3 photo plug-in license will run in Adobe Photoshop, Adobe Photoshop Elements, Adobe Photoshop Lightroom and Apple Aperture.